Just before lunch, 1st District Councilmember Ed Reyes will dedicate the corner of 7th and Alvarado as "Langer's Square" with Norm Langer and family, City and County suits, and of course, any deli patron who may want to honor the late founder, Al Langer. *Squeeze into a booth! : A follow up e-mail confirms the dedication will go on as planned, and will be ready to inside Langer's Deli if the rain continues. ** Photos from the day's event. Despite the area’s high crime rate more than 60 years ago, Albert Langer founded the home of the famous top-rated No. 19 pastrami sandwich, in 1947. “The Langer family is greatly thankful to Ed Reyes, the City Council and the City of Los Angeles for bestowing great honor on the 95th birthday of my father, Al Langer, the patriarch of delicatessens,” said Norm Langer. 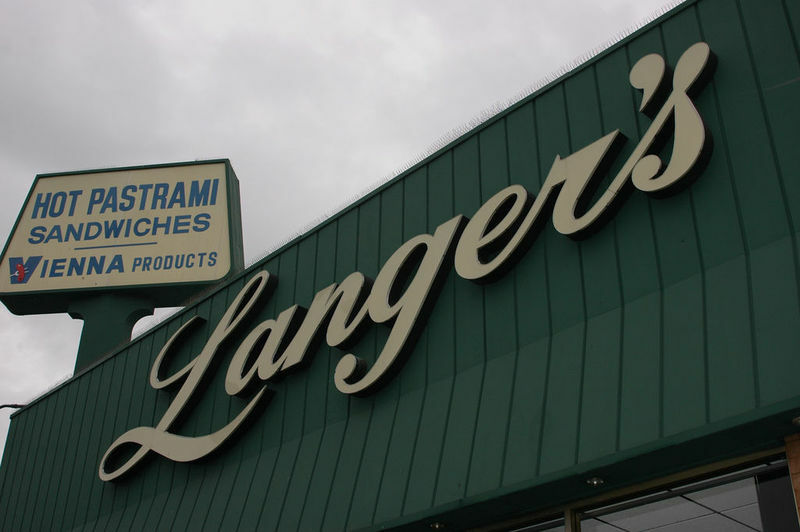 Looks like this is a place I'll have to check out Langer's next time I'm in LA. I'm originally from NY, now living in AZ, and I'm starved for a GOOD deli sandwich. Best wishes to the Langers -- even if they're NOT related!